The Masterplat PGS turntable pallet wrapping machine is a premium machine for use with power pre-stretch film up to 250% stretch. Ideal for users looking to upgrade their machine and move from a standard cast machine. Where approximately 20-30 pallets are being wrapped per day the Masterplat PGS can deliver significant cost savings on film and time. The Masterplat PGS control panel is very easy to use with graphic icons and program selection using a simple jog wheel. 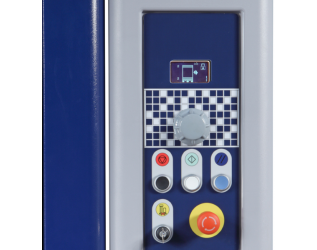 The control panel can be used in easy or advanced mode, with 'parental control' to prevent unwanted changing of settings. By using the advanced mode, three programs can be pre set and locked, allowing the wrapping of different pallet sizes and weights simply and efficiently. There are forklift locations on the machine so it can be easily and safely moved around the warehouse with a forklift. Once in position, a standard 230 volt single phase power supply is required. 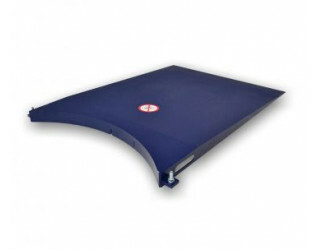 A ramp is also an optional extra to allow easy access to the turntable when using a pallet pump truck. 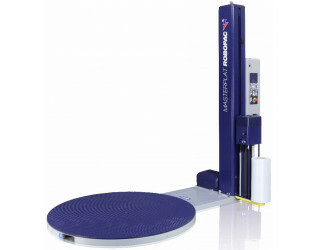 Also available are integrated weighing scales on the turntable to allow the reading of accurate pallet weights. These scales are available for products less than 1 tonne, or more than 1 tonne. A Masterplat PDS comes with 36 months parts and 12 month labour warranty. Please ensure you select delivery, installation, and training when making your purchase and allow 7 working days for delivery.